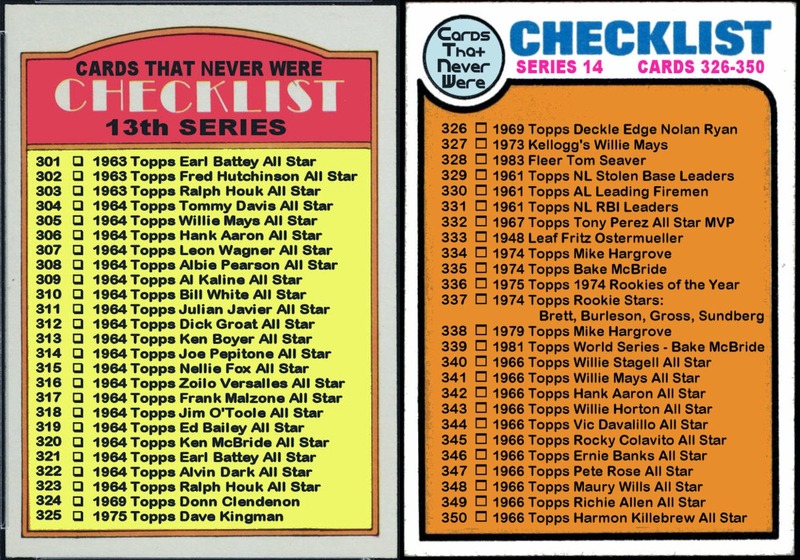 Since it took me into February to finish up the last Alt-Topps set, I'm going to use the rest of the month to catch up on other things. 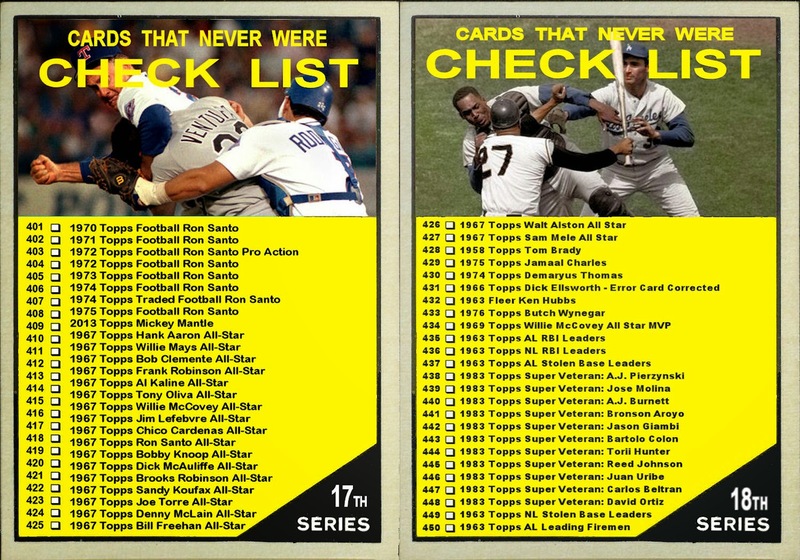 Then start fresh in March with a new(?) 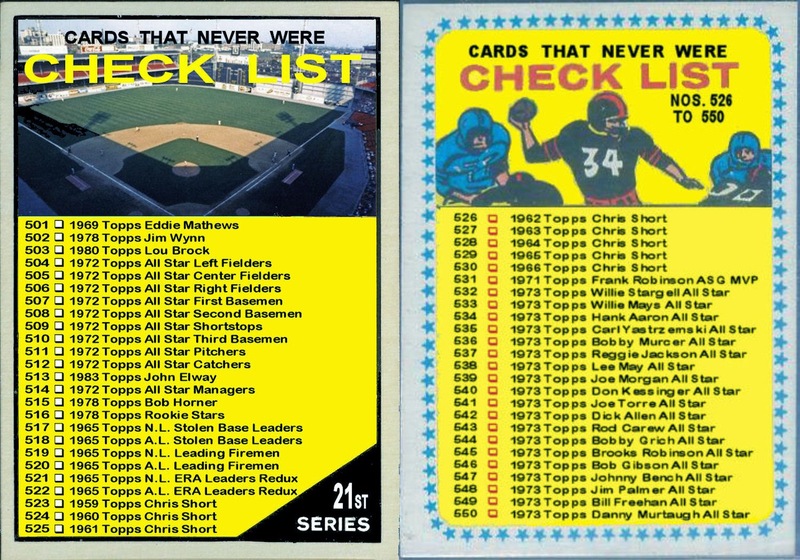 Alt-set. 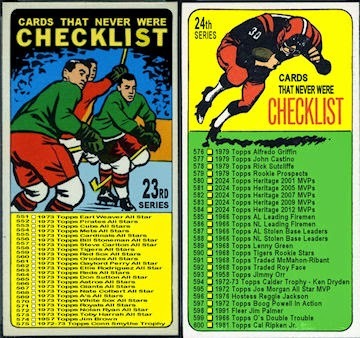 Let's start with checklists. 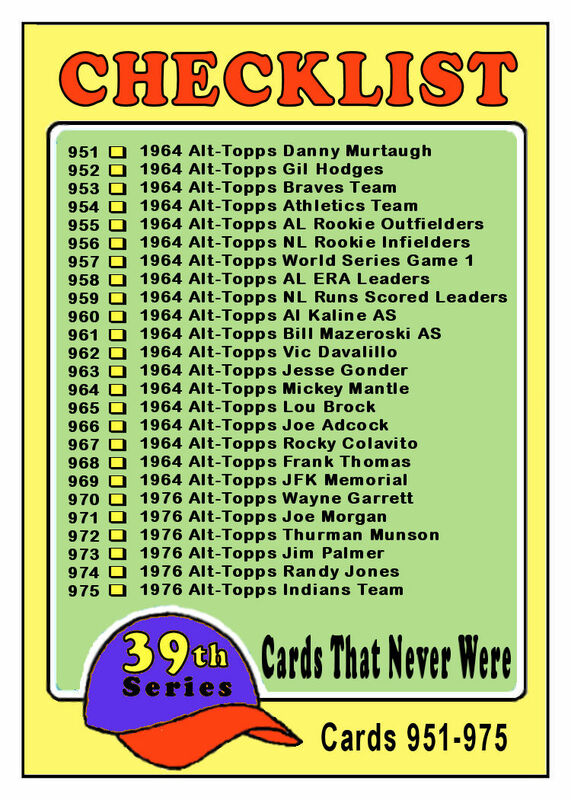 I have officially surpassed 1000 cards made for this blog. 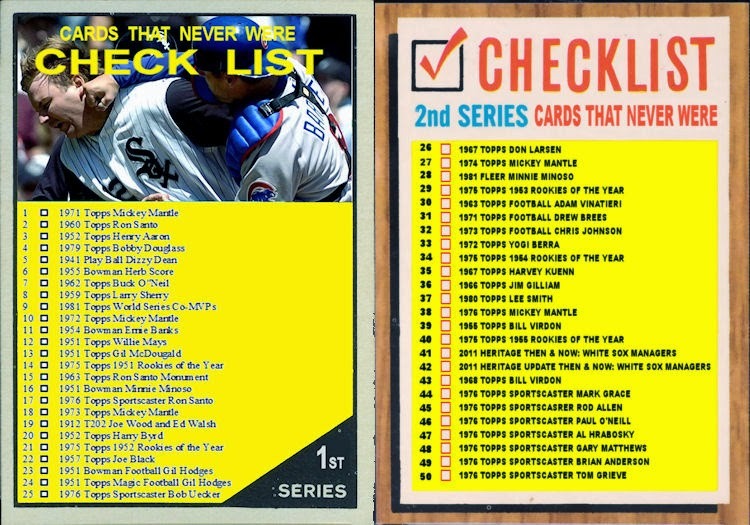 Unofficially, I have created a few for other blogs. 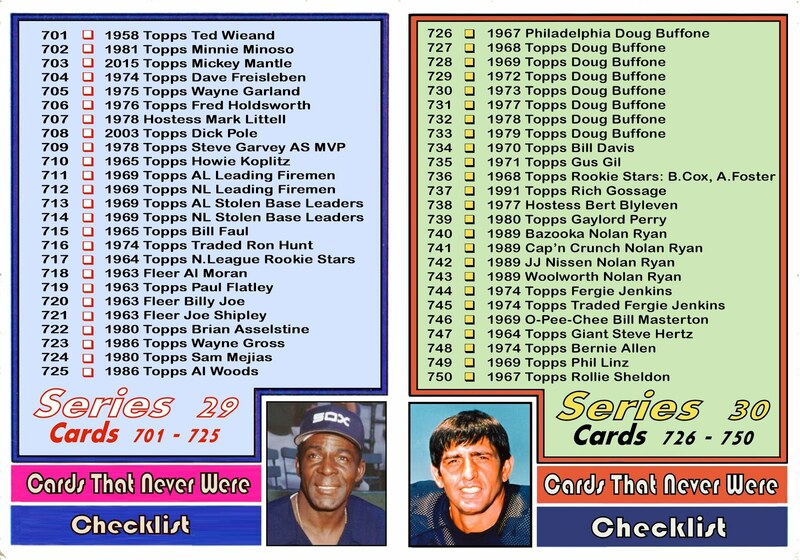 Since I've been making all components of a real set for these prototypes, I may as well use their basic design for checklists. 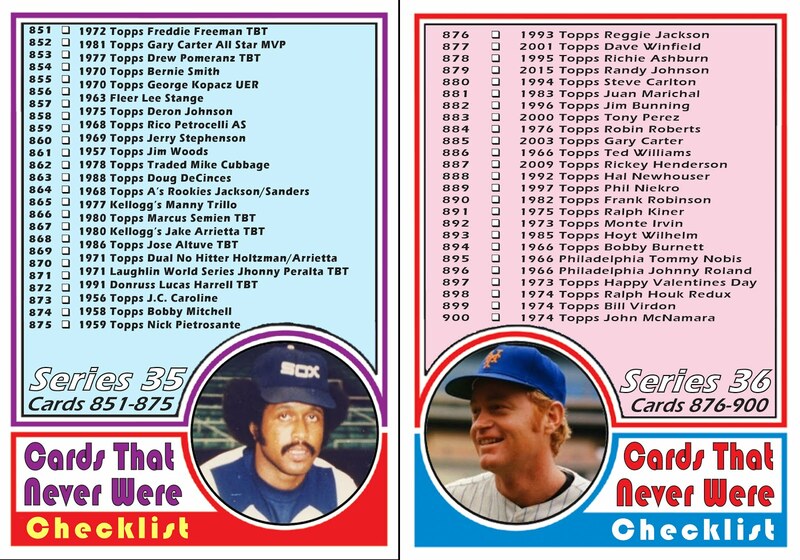 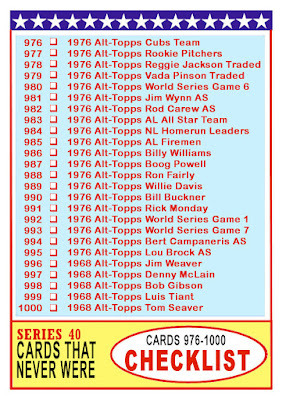 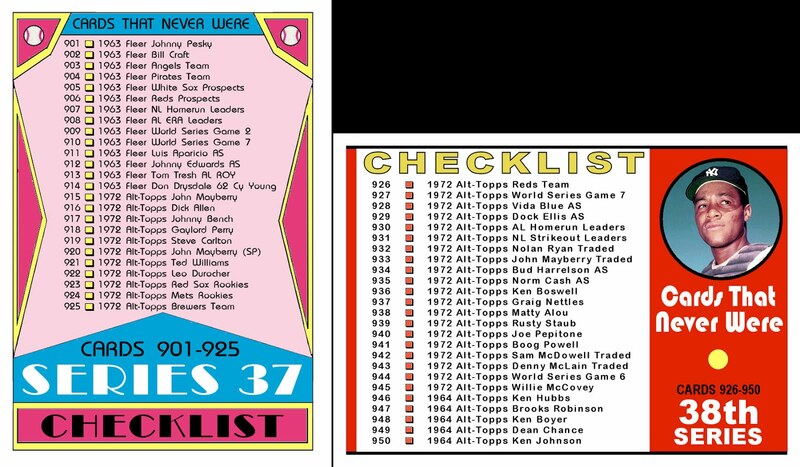 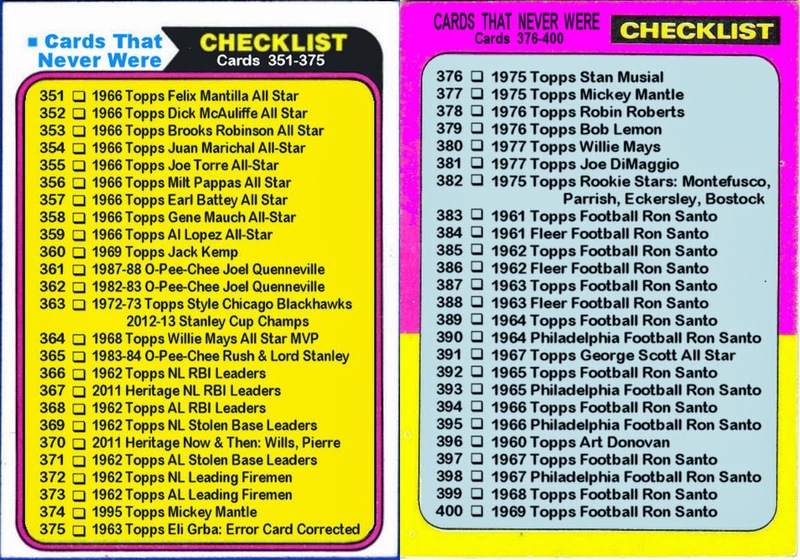 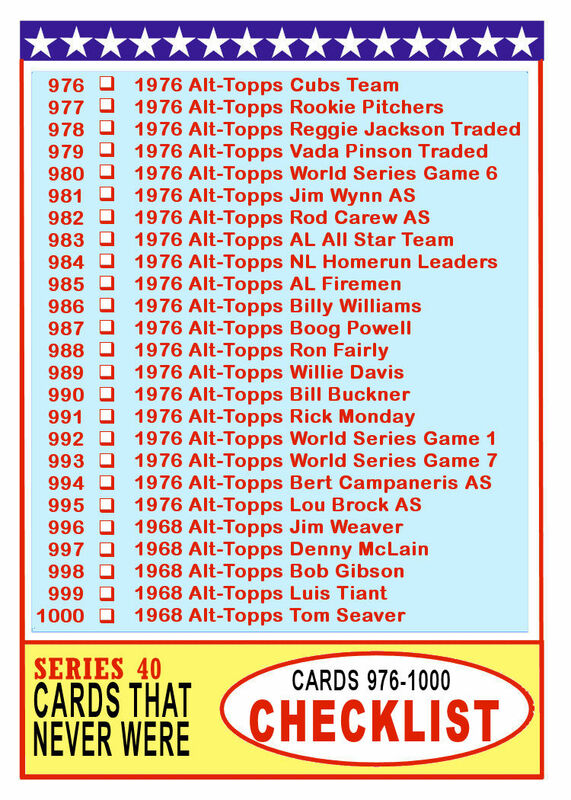 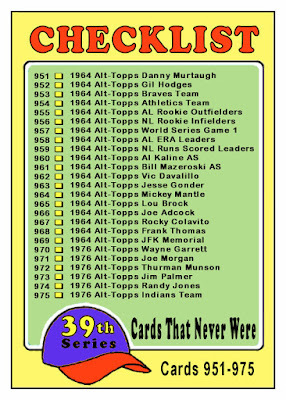 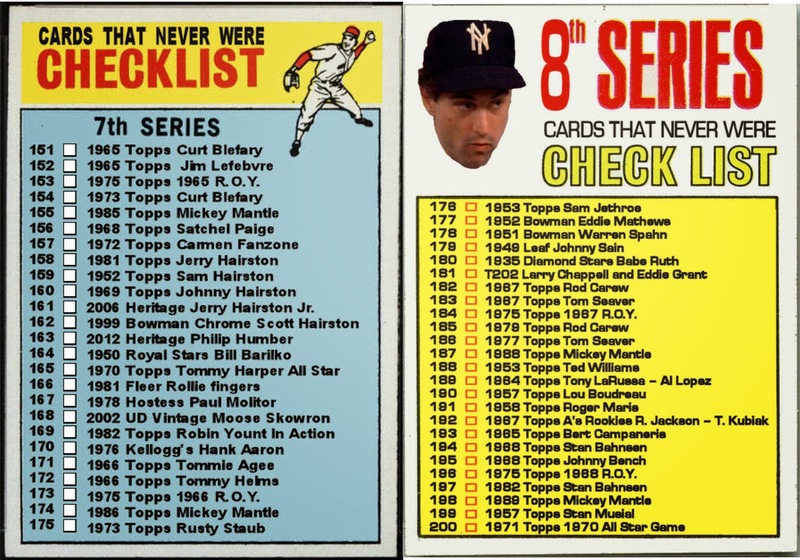 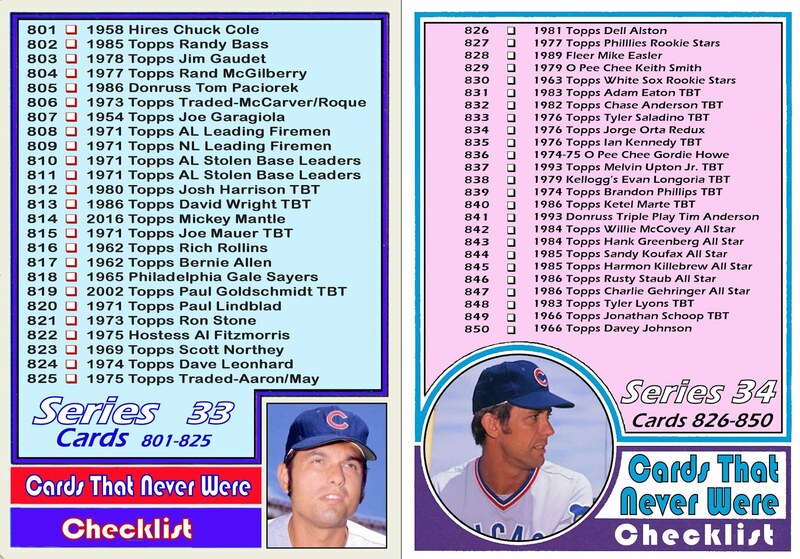 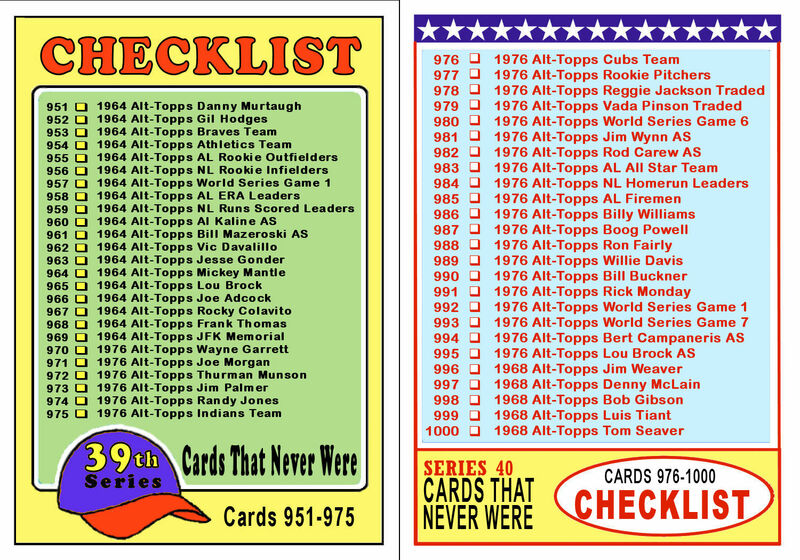 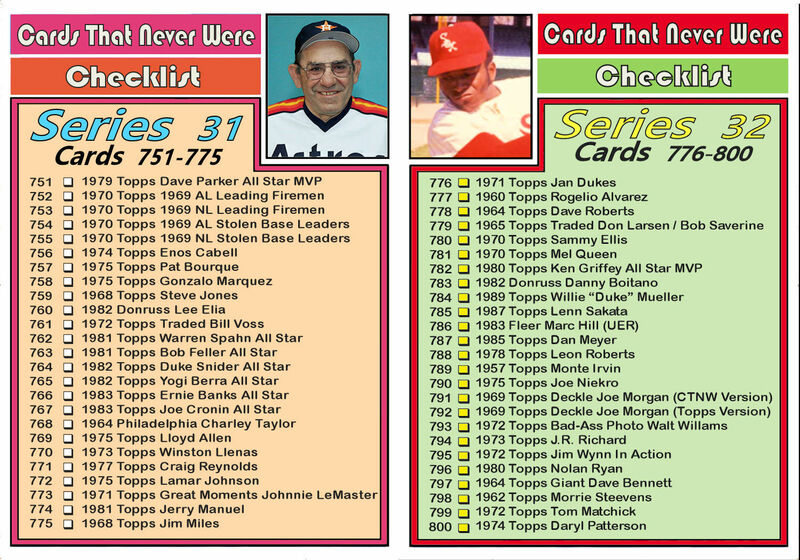 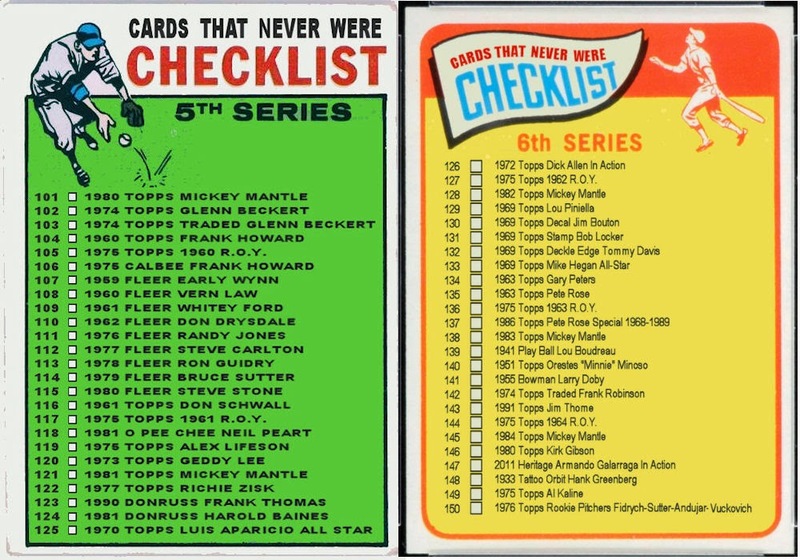 Here are the 1976 and 1968 Alt-Topps style checklists. 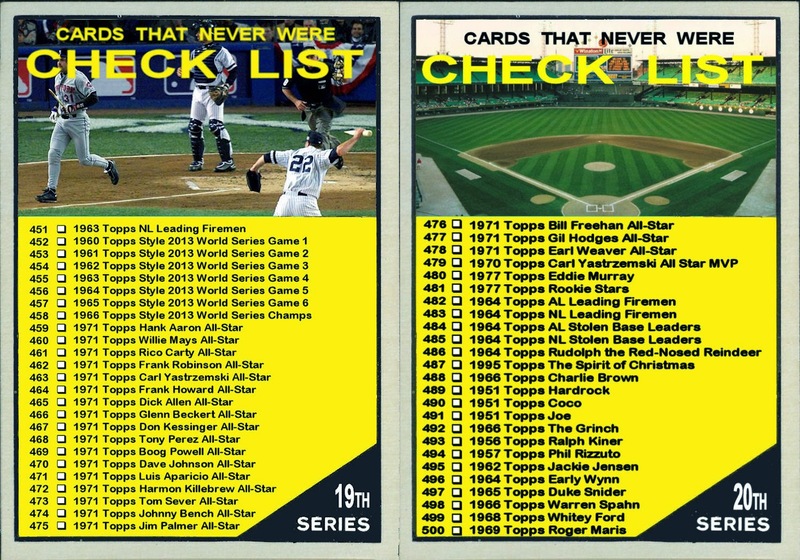 If you click here you can see all the cards on the checklists on one place without any boring words to slow you down. 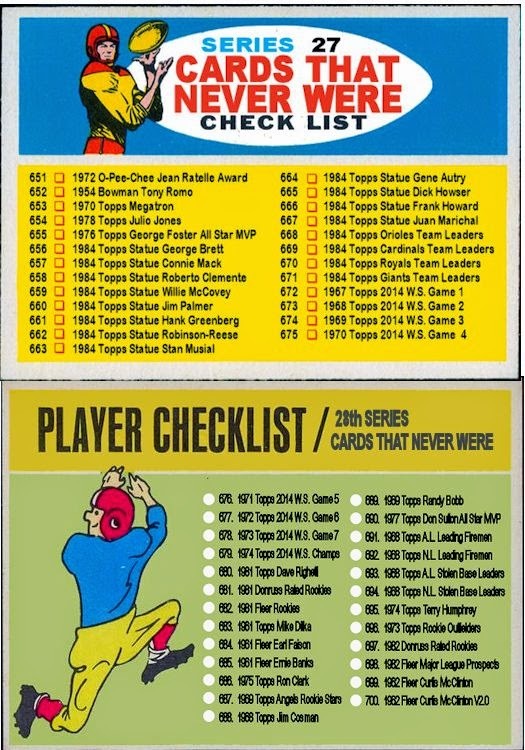 As usual, you can also click any checklist in the right margin. 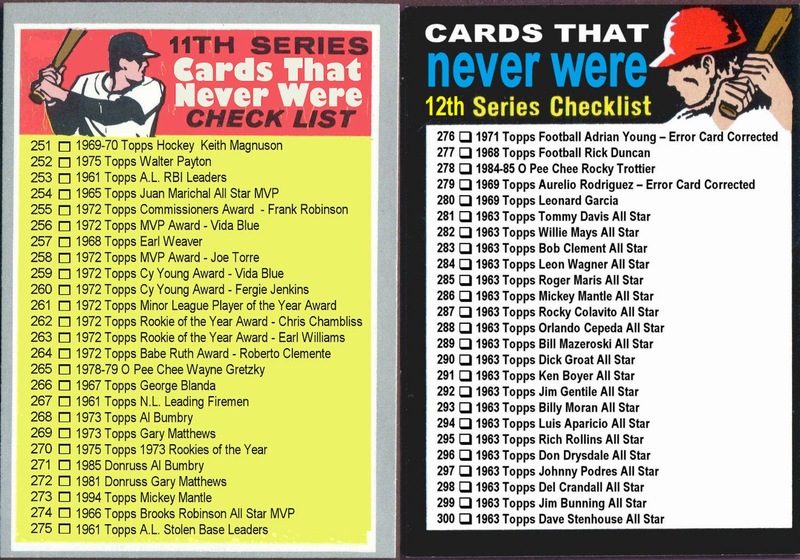 That will link you to the relative cards. 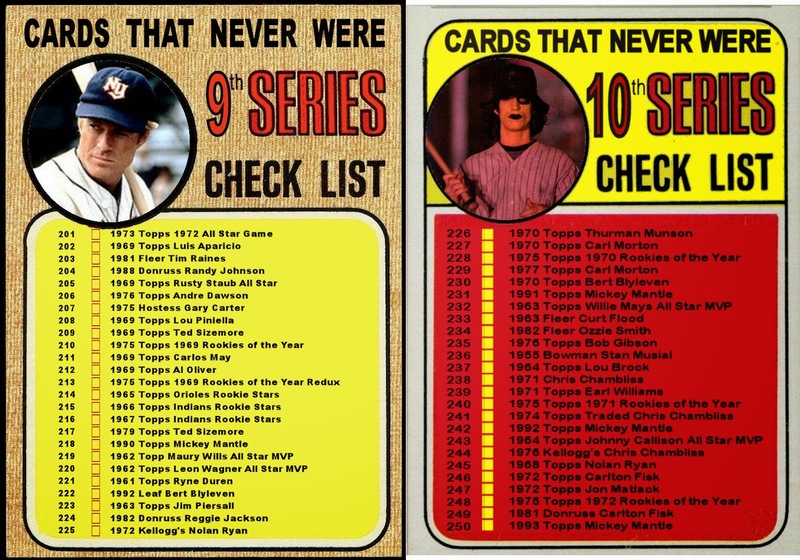 Congrats on reaching 1000. 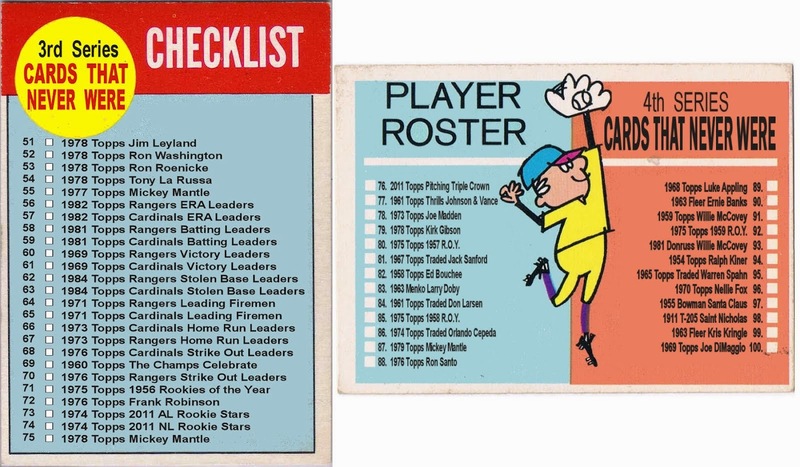 Looking forward to your future posts.